Lo scienziato Wo Weihan è stato torturato fino a confessare di aver spiato per conto di Taiwan e di aver passato dei segreti militari. 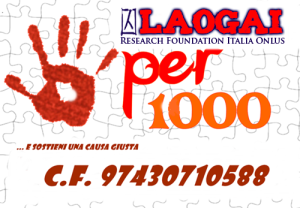 La figlia Ran Chen ha denunciato che il processo si è svolto a porte chiuse e gli avvocati non hanno potuto parlare con la famiglia. 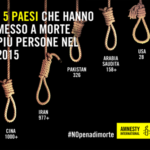 Sam Zarifi di Amnesty International conferma che il processo si è svolto in maniera irregolare ed ha chiesto che la condanna a morte venga cancellata e che Wo Weihan venga liberato. Segue il comunicato in inglese della BBC. The family of a Chinese man condemned to death for espionage has criticised China’s judicial system, saying he did not receive a fair trial. They claim that the scientist, Wo Weihan, was tortured into admitting that he spied for Taiwan. Mr Wo was sentenced to death last year. 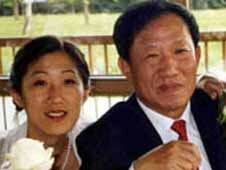 His family say China’s Supreme People’s Court has now approved the verdict. The sentence is expected to be carried out within days, although the court could not immediately confirm this. Ms Chen, who feels free to speak out because she is now an Austrian citizen, also claimed her father was tortured, although she has no proof. The family, unable to visit Mr Wo since his arrest, have now been granted access. They say they have been told that China’s Supreme People’s Court has approved the verdict, which leads them to believe Mr Wo is about to be executed. Ms Chen, who now lives in the United States with her husband, said she has been thinking about what to say to her father when she meets him on Thursday, probably for the last time. “Maybe we’ll just get 10 minutes. I don’t know what to say to him,” said the tearful 31-year-old in an interview with the BBC. No one at China’s Supreme People’s Court could be contacted to comment on the case. Sam Zarifi, Asia Pacific director for Amnesty International, said the execution should be stopped and Mr Wo should be pardoned. “Available information suggests that Wo Weihan did not receive a fair trial according to international standards,” he said. According to the human rights group, China executes more people than any other country. 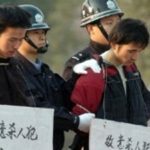 China does not publicly say how many people it executes each year, although that figure is thought to be in the thousands. Quante esecuzioni all’anno ci sono in Cina?